For business owners and homeowners in need of expert roofing contractor services here in Iredell County, NC, Carolina Storm Roofing of Mooresville is here to help. We have been in the service of the people of Mooresville, NC and its nearby communities for over a decade now and counting. We specialize in various roofing services, including but not limited to roof repair, roof replacement, roof installation, roof maintenance, and other essential roofing services that every property owners need. When it comes to roofing services here in Mooresville, NC, Carolina Storm Roofing is one of the best and most reliable roofing contractors that homeowners and business owners trust. We are a full-service commercial and residential roofing contractor that specializes in various roofing services. Our widely known commitment to high-quality services and excellent customer satisfaction ensures you a customer experience beyond compare. With our pursuit of endless innovation and relative perfection of our services, we are able to provide the most accurate roofing solutions for your residential and commercial building needs, while using only premium materials such as those coming from CertainTeed Roofing, GAF, IKO Production, Inc., Owens Corning, and so much more. On top of that, our award-winning craftsmanship, bonds all these positive attributes in order to come up with the best results for your roofing needs and desires. When it comes to roofing services, you can always count on Carolina Storm Roofing of Mooresville because of the wide scope and extent of the service we offer. Apart from our core roofing services that include roof repair, roof replacement, roof installation, and roof maintenance, we also cater to other roofing needs and home improvement requests. To name a few, you can also count on Carolina Storm Roofing of Mooresville for repair, installation, replacement and maintenance needs concerning your gutters, skylight, siding, and other relevant property features and components. As mentioned above, we are a full-service roofing contractor that caters to both residential and commercial properties. That is why we are confident enough that no matter the type of roofing you have, whether it is a flat roof or pitched roofing, our team of expert roofers and project managers can easily adapt and apply their skills to resolve any residential or commercial roofing concern you may have. To put emphasis on our flexibility when it comes to providing the best roofing service here in Mooresville, NC and its nearby communities, we are also capable of dealing with any roofing issue regardless of the roofing material. Whether you have an asphalt or composite roofing, metal roofing, rubber roofing of any type, Carolina Storm Roofing of Mooresville can make things happen, and always within at a reasonable price. Contact Us Today to Know More of Our Services. Mooresville is a relatively large town situated in the southern part of Iredell County, North Carolina. It has a total land area of approximately 54 square kilometers and an estimated population of around 36,500 people according to its most recent census. Hence, making Mooresville a lively and thriving town in North Carolina. The town of Mooresville, NC was established in the 1850s, and it was originally settled by Scot-Irish, German, and English families who moved from nearby areas such as the Rowan County. Prior to being established as a town, in the mid-1700s, the area where Mooresville is now situated was a farmland. The settlers in search of more farmland decided to transform the area of Mooresville into a farmland, primarily that of cotton. From its humble beginning, the town of Mooresville, NC grew into a railroad town, to a textile center, and to “Race City” of the United States. 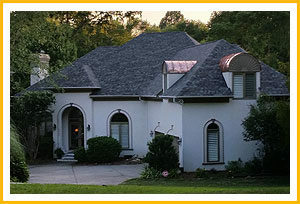 Through the many changes that Mooresville had undergone, the need for a reliable roofing service likewise changed. With the existence of various residential and commercial properties in the area, the need for roofing contractors who can provide efficient and budget-friendly roofing services has been widely felt by most property owners. Hence, along with the development of the town’s government, commerce, and economy, roofing industry likewise grew to serve the people of Mooresville, North Carolina up to the very present.